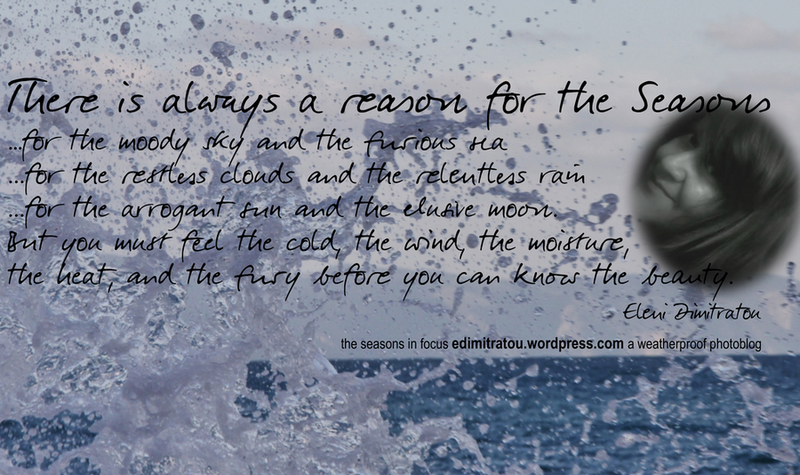 Images of the Seasons on two continents… of clouds, raindrops, sunsets, moody seas, the sun, the moon… beyond weather. With minimal or no post processing because perfection is in Nature, not software. Besides, I’d rather spent my time guessing when a seagull will take off, waiting for the moon to come out of the clouds, seeing the sun pop out of the sea, or mastering the wind chart, than mastering layers, levels, curves, masks and filters!